It's summertime, that's for sure. I can tell because of the oppressive heat, humidity, bathtub temperature pool water, and long hours of daylight. I can also tell because the ants are out in full force! We have our house serviced by regular pest control, but every week when I mow the yard I come across another new anthill or two. 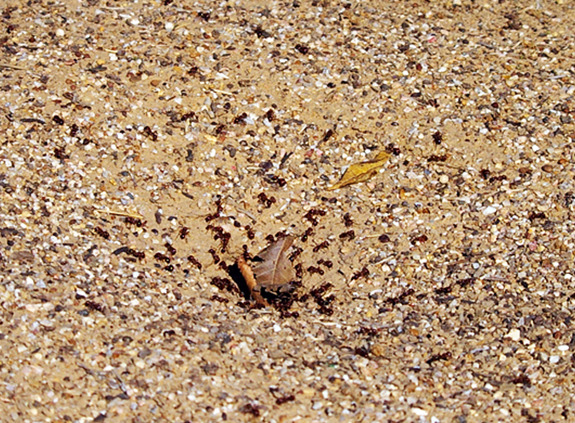 I've spot-treated anthills over the years using liquid pesticide sprays and/or granular ant baits, but I've never been totally comfortable with the idea of leaving toxins around the yard in areas where the kids and dog roam. 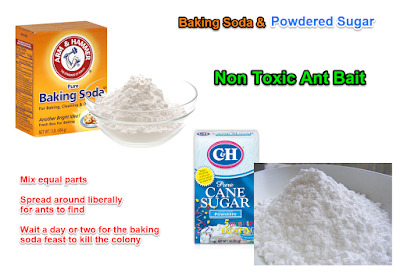 Recently my brother-in-law offered a more natural solution - an ant bait consisting of baking soda and powdered sugar. 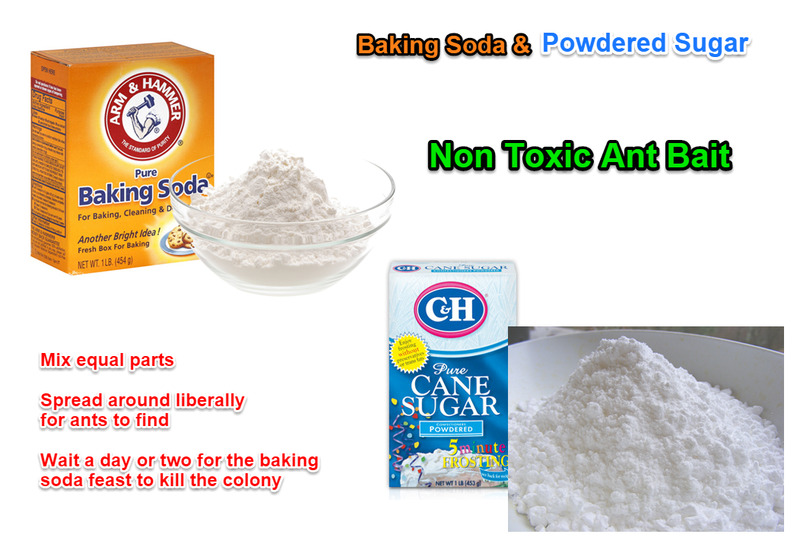 The powdered sugar attracts the ants, and the baking soda kills them. Mix equal parts Baking Soda and Powdered Sugar into a container. I made a bigger batch than I needed, which I stored in a sealed container as ready made bait for the next time I need it. Spread it liberally around the ant-infected area. You don't have to put it right on the mound; they'll find the sweet taste of sugar and bring it back to the colony. 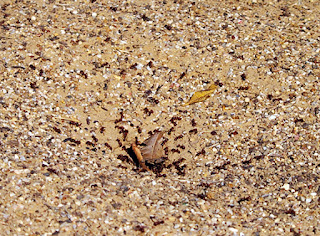 Over the next day or two the colony will feast on this bountiful harvest, and the baking soda will kill the ants, including the queen. No Substitutes - powdered sugar and baking soda have a very similar texture; once they're mixed together you can't really tell which is which. I don't think this trick would work as well with granulated sugar, as the ants could pull the sugar granules and leave behind the baking soda. From my own personal experiences, this mixture has worked great on two different ant hills over two different weekends. Next time I come across a colony of mad ants (which shouldn't take too long), I'll take some before and after pictures and update this post. 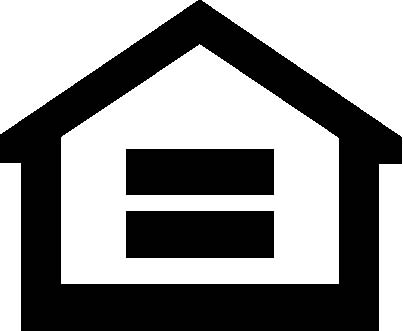 In the meantime, give this a try at your house and let me know how it goes!